Are you interested in looking your finest this Christmas? Do you spend a lot of time, searching for unique hairstyles and accessories? If you have given an affirmative answer to either one of these two questions, you have come at the right resource. In this article, we will present no less than nine awesome hair accessories you can flaunt this Christmas. Whether you are going to attend a fancy party or spend time with your family, it is guaranteed you will love our suggestions. Keep on reading and discover the best hair accessories for this year’s Christmas celebrations. 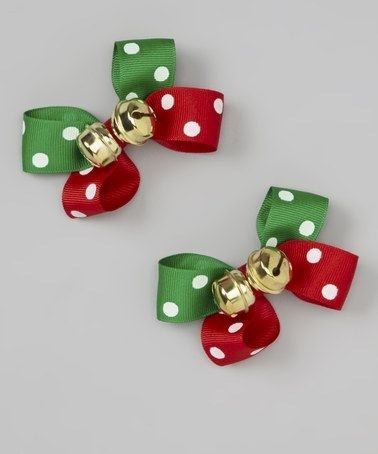 If you want to make a pleasant impression with your hair accessories this Christmas, why not go for the red & green bows. For some extra fun, you can add small, delicate jingle bells and spread Christmas cheer; everywhere you might go. You can make these yourself, using polka-dotted fabrics for the creation of these playful accessories. After dyeing your hair, it is time to think about the best accessories that work with your color. 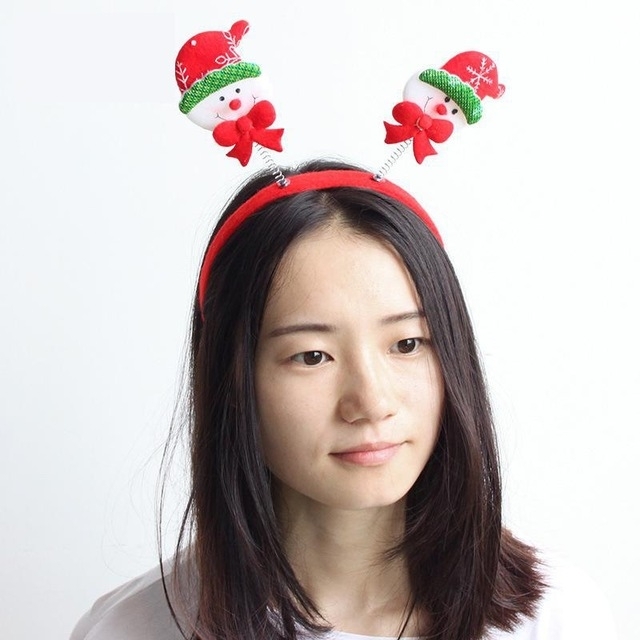 We recommend trying the snowman hair accessory; it goes great with a broad range of colors. 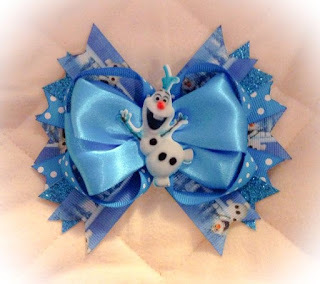 Practically, all you have to do is form a ribbon bow, in a white color. You then add a sparkly hat, some beads for eyes and mouth and a small carrot for a nose. It will look great! The snowflake headband can be worn by women of all ages, looking elegant and playful at the same time. For the best results, choose a headband in red and white, the two colors of Christmas. 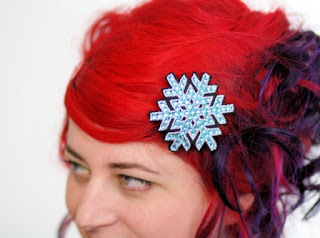 Add snowflakes in various sizes to the headband and prepare to impress others with your choice of hair accessories. 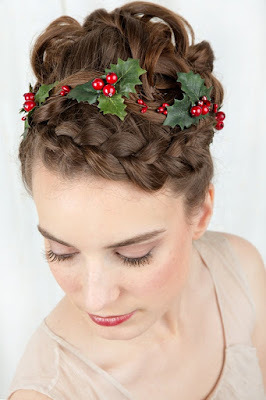 If you want your hair to look fantastic this Christmas, you need to think beyond hair accessories. Take vitamins for hair growth, use natural conditioners and avoid hot water, as this can damage the hair. Returning to hair accessories, how about a nice Christmas tree hair clip? All you need is some green and brown fabric, a gold ribbon and a glue gun. Easy to create, fun to wear! With Christmas just around the corner, we all think about gingerbread and how delicious it is. 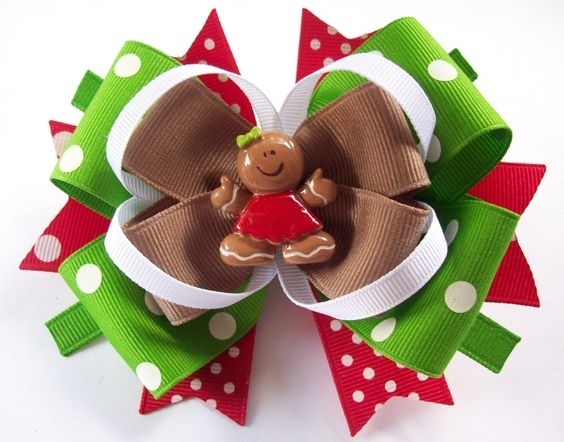 This season, how about wearing gingerbread-like bows in your hair? All you need is some fabric, in brown color and a glue gun. Add a small, red bow, to your hair accessories, for a humorous touch and do not forget to decorate it with white lines. Hair clips are among the most modern accessories, not to mention they are easy to match to any outfit. 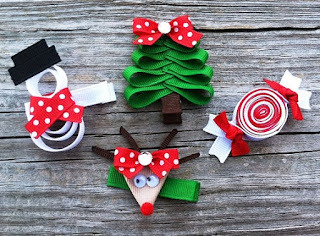 For the making of the Christmas gift hair clips, all you need is some ribbon material, in holiday-specific colors, such as white, red and green. Form your hair clips with the help of a glue gun and enjoy your playful accessories. If you are preparing to take your young lady to a Christmas party, you might want to consider the hair accessories she is going to wear. How about an Olaf-inspired Frozen hair bow? This is easy to pair with any outfit, no matter how pretentious your little princess might be. Take a white-silver bow, add a couple of black buttons, a carrot nose, and small branches, and you have the perfect accessory for this year’s Christmas party. 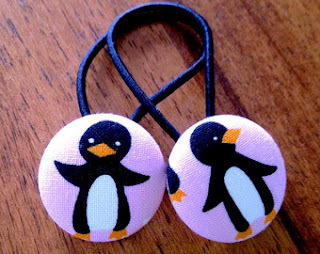 You are never too old to wear funny hair accessories, such as the penguin-shaped bow. If you have already chosen your outfit, the next step would be to create your hair accessories. For the penguin-like bow, you will need ribbon material in black, white and orange colors. You can take your time and create a small bow for the penguin, adding a little beak and eyes as well. One thing is sure: you will have fun while building this hair accessory! We all swirl candies, especially around the holidays. So, if you are on the lookout for unique hair accessories, why not give the swirl candy hair clip a try? 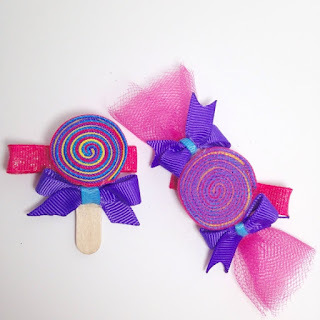 You will need red and white ribbon material, as well as some green ribbon, to form small bows on the sides of the swirl candy and some tulle, for a more elegant effect. These are some of the most interesting accessories that you can wear in your hair this Christmas. As you have seen, you can make most of these in the comfort of your home, using simple fabrics and the real, old glue gun. Have fun while creating your hair accessories and do not forget to mix and match them with potential outfits. Meighan Sembrano is an enthusiast and passionate writer. She is a contributor to Consumer Health Digest. She is expertise in Beauty and skin care articles. Also, have contributed in the health and fitness field. Her work gives an enthusiast twist to the readers. She resonates the readers with her straightforward and thoughtful words.